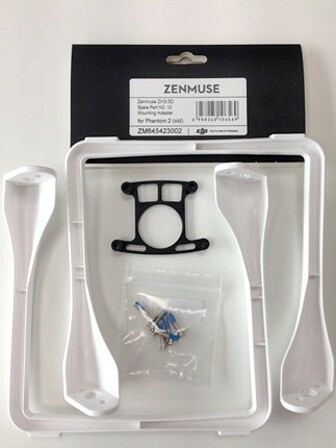 The DJI Zenmuse H3-3D mounting adapter for phantom 2 is used when upgrading from the H3-2D To H3-3D gimbal. This mounting adapter is needed on Phantom 2 bought before March 2014, the Phantom 2 shell had a modification from mid March onward. If you have a small rectangle cut out on the underside of the Phanton this adapter plate will be needed. Later Phantom 2's have a larger opening to allow the H3-3D yaw motor to clear the body.